We currently operate eleven residential homes, located in neighborhoods throughout St. Augustine. 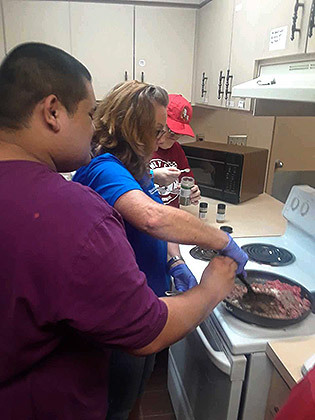 In addition to offering habilitation, our extensively trained staff provides highly specialized care to those requiring an intensive behavior program, as well as to those who require nursing care. We also provide a dietician and speech therapist within these settings. We pride ourselves on being one of the few providers that offers such a breadth of services within residential programs.